Dal Baati Churma is a famed Rajasthani culinary treat. This vegetarian Rajasthani cuisine consisting of 3 different items is both simple and delicious. Baati usually served with a copious amount of ghee/butter. It’s a popular choice in picnics during the monsoon season which is usually termed as Goth/ Gauths. So where can you find a good place to have Dal Baati Churma in Jaipur? Tough question! The above picture was clicked at Khole ke Hanumanji temple which is famous for the Dal Baati Churma prasad in Jaipur; there are two types of Baati, a variant of Churma, Dal and Gatte ki Sabzi. Gatte Ki Sabzi is a classic combination with Baati. I need to mention that a similar cuisine is popular in east India. It is called Litti Chokha and quite popular in Bihar and Jharkhand states. It’s not easy to find a place serving lip-smacking Dal bati Churma in Jaipur. You can find few dhabas in Sindhi Camp area serving Dal Baati Churma which is commercial and passable in terms of taste. This commercially sold Rajasthani cuisine is no match with the authentic taste prepared by specialist cooks. Of late, its restricted to the wedding ceremonies or prasadi in temples. Rasoi of Khole Ke Hanuman ji Temple. It is famous for Dal baati Churma preparation and has more than 20 dining halls! In fact, some shops in the old city area of Jaipur sell only ingredients required for making Dal Baati Churma. They also arrange specialist cooks for Dal Baati Churma. Tradition demands it to be served in a plate made of dried leaves (shown in the picture) called Pattal. You can find more information here. Here is another picture of Prasadi at a temple in Samode village. Dal Baati Churma, the most famous vegetarian Rajasthani Cuisine. The above picture has 3 different type of Churma, two type of Baati along with the Dal and Kadi/Curry. Three or four variants of Churma – Gehun, Bajara, badaam, and rose along with two or three variants of Baati like saada (plain) Baati, Mewa Baati and Masala Baati is common in all such Prasadi. Baati is prepared from wheat flour rolled into a dough, which is then rolled into a golf size balls. These balls are then baked in a traditional method and served with ghee poured over it. Dal is a prepared with boiled lentils and a variety of spices. It is a common Indian dish and not exclusive to Rajasthan or Jaipur. Baati is crushed into small pieces and mixed with sugar and ghee to make Churma. Churma is essentially a sweet preparation. How to eat Dal baati Churma? You are unlikely to find good places in Jaipur where you can walk in and treat yourself with a delicious Dal Baati Churma. Have you ever had Dal Baati Churma? If yes, do share your experience in the comments below. Awww mann!! Daal Baati!! 😍😍 Heavenly..! Have you ever tasted this cuisine? Then you must be a foodie? Gujju are born foodies! And you’re on point..! A born foodie..😜 I assume u must b one too!? Love Indian Vegetarian food, so love daal. Looks delicious. I really appreciate your links to more information. That’s great Helen! Have you ever been to India? No I’ve never been .I’ve loved Indian food since I first tasted it as a student in Glasgow ( in those days it was very new and unusual) . Oh! I’m not sure about Scotland but it’s quite popular in England though it’s non vegetarian food mostly. Do you still get to have Indian food? Glasgow now one of best place in UK for Indian food. I discovered it in the late 1960s when there were only 2 Indian restaurants in the city . Now there must be hundreds. ( some better than others!) . I cook it a lot at home too. I love my spice cupboard! Khol ke hanumanji temple indeed serve the best of this cuisine, comparative to any of the best hotels of the town too for the same. The kitchen at this temple is expert at Dal baati churma. This is one of the most authentic ones you’ll ever come across in Jaipur. The chef in hotels are expert at presentation and can never match the taste, for they haven’t prepared or practiced enough to warrant the same taste. Yha i knw, can’t argue on this, have experienced the same, even found of it’s authentic taste so much that miss when i get guest from out of Rajasthan and not able to take them there for dining. Looks yummy! As a vegetarian of many years and having visited India. I can almost taste that dish … nice! Cheers Jamie. Thanks, would not have it any other way. Cheers Jamie. A few years ago we had been to Udaipur and other places in Rajasthan. We loved the taste of food there. We have also been to Jaipur. All beautiful places. I wish to have that dish one day. First I have heard about that dish in a movie. Then searched for the recipe. it seems little bit complicated and lengthy process so I have not cooked it yet. I wish someday I’ ll visit rajasthan and have it. The preparation for dal and baati is quite simple but making churma is another thing. Why don’t you try baati with gatta? it taste great. For making baati though you need tandoor or the sigdi -charcoal combo. I have heard from many people that you can enjoy dal baati in many dhaba around udaipur although I can’t verify that. Looks delicious Arv! Almost impossible to get this kind of food anywhere near my home but always fun to try new tastes when we travel. Thanks Tina! Have you ever been to India? btw, in which part of the world are you located? where did you click this? 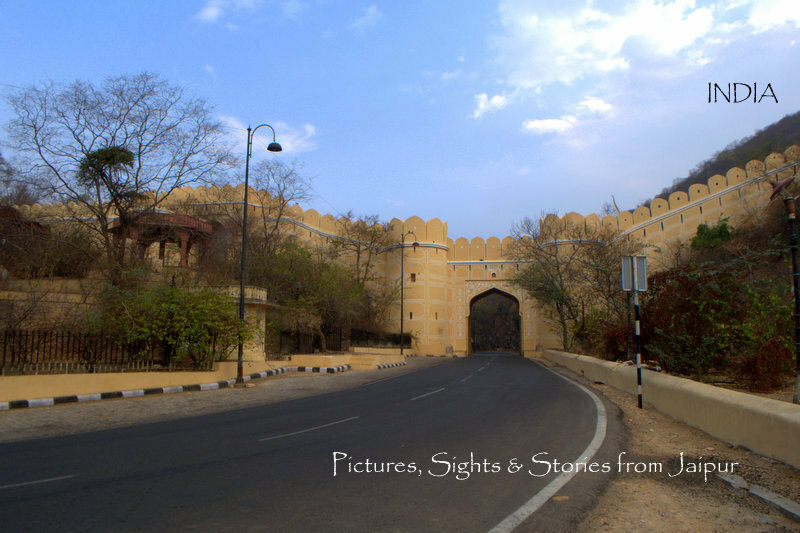 you brought back my old memories of Rajasthan when I was in Bhilwara….. lovely write-up…. I love, love, love this dish Arv!…I remember gorging on them in Jodhpur and as much as I love ghee, I couldn’t finish the entire plate! Do you know how to make it as well? Divya! I too love this one, the only thing I don’t like is the guilty feeling of a being a glutton… ‘Post mortem ‘. Divya I am not into cooking so you’ll have to rely on google. tons of sites,I assume. actually it’s quite easy except churma. the ingredients are simple, but great taste? Well it has to be made in traditional style if possible using coal. If not use whatever resources you have. Btw, baati and gatte ke sabzi is awesome combination! Thanks Carol 😊. Many western people love Indian vegetarian food because it’s completely different from their vegetarian food. The difference is spices. I’m sure you have already experienced a bit of this since you live in Thailand. Happy to hear that you are a vegetarian. Where are you based? Northern Ireland, and believe me, in the early 1970’s that was no easy place to decide not to eat meat – especially when the rest of the family do. My goodness – YES! Changed days! The choice now is fantastic compared to how it was growing up. This is partly why I am just so keen on Indian cookery, – it was always easy to eat in an iIndian restaurant, there was so much choice. Then my Dad became very good friends with a guy from Kerela who taught me how to prep a few dishes properly. I haven’t had idli in years (and miss it) my Sambhar never quite tasted as good as his, but my coconut chutney rocked and I could happily eat that with every meal! Oh – of course, 😆 I just associate those with an old friend, who has since passed on, so I my fondness for them triggers memories and more. Pingback: Khole Ke Hanuman Ji Temple Jaipur – Jaipur Thru My Lens !! Dal baati choorma is on the top of my wish list during my upcoming visit to the city. I hope there are some outlets where Jain thali is offered as I no longer eat onion-garlic. I always find it diffuclt to answer this question – where to find authentic dal baati churma? The best ones that I have had are specially prepared, mostly in temples. Wow…that’s good! A trip to Jaipur would be incomplete without eating Dal baati choorma.